The decision to recommend surgery depends on a comprehensive evaluation of the patient, including the symptoms, objective physical examination findings, objective testing and prior treatment. This is a very patient specific approach, which is customized to the patient, with the goal of relieving nerve compression and subsequent pain from pinched nerves. 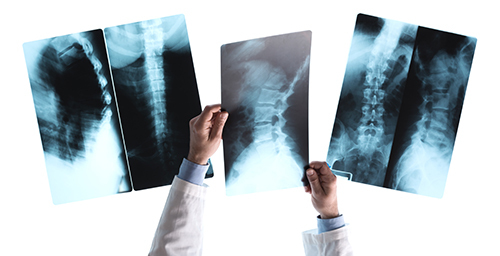 Over the past decade, spinal surgeons have led the challenge to provide less invasive, less expensive, and less painful lumbar (low back) spinal fusions. For patients that need a spinal fusion, this is good news. Spinal fusions are an acceptable treatment for many spinal conditions including spinal stenosis, degenerative conditions of the spine, spinal instability, and recurrent disc herniations. Over the past 5 years, Dr. Kitchens has concentrated on providing his patients with a minimally invasive lumbar fusion. In selected patients this operation is performed as an outpatient procedure, and patients can go home the same day. The incision is typically a little larger than an inch, about the size of a safety pin. Lumbar microdiscectomy (without fusion) is a very common procedure for relief of a pinched nerve from a herniated disc. This is an outpatient procedure with about a one-inch incision and short recovery period. Anterior Cervical Discectomy and Fusion is the most common operation performed for cervical disc herniation, spinal cord compression, or cervical spondylosis. This surgery is also safely performed on an outpatient basis in selected patients. In patients who are not candidates for minimally invasive lumbar surgery, Dr. Kitchens can provide the time honored open lumbar fusion. This surgery has been around for decades, provides good relief of symptoms, but requires a much larger incision and longer hospital stay.